Dr. George Hislop CBE, FEng, FRAeS, who was Chief Designer and subsequently Engineering Director for the Fairey Rotodyne project was born in Edinburgh on February 1914. He served an apprenticeship as a fitter on Clydeside. Upon completion of his apprenticeship he gained a first class honors degree BSc(Eng) from London University, followed by aeronautical research at Cambridge, gaining a PhD in 1941. In November 1939, he went to work at Boscombe Down, where he was later involved with the first of the Sikorsky R-4s. This early exposure to helicopters proved to be a defining moment in his career. He transferred to the RAE Farnborough in 1945, working on the High Speed Tunnel and further helicopter research. In January 1947 Hislop joined the British European Airways Research and Development Department, which included the Experimental Helicopter Unit, and in 1953 he joined the Fairey Aviation Company as Chief Designer (Helicopters) and Engineering Director at the head of a strong design and development team. His name will always be linked with the Rotodyne, and in the course of the four years that followed, the prototype aircraft emerged, supported by a well-planned development program and technically sound design process. Much of the credit for this safe outcome to produce an innovative aircraft at the cutting edge of the known technology must rest with inspired leadership of a well-selected and dedicated team. When the Rotodyne was cancelled in 1962, Fairey had become part of Westland following the forced amalgamation of the UK Helicopter firms to conform to British government policy. Hislop was moved to Yeovil as Technical Director and was appointed Managing Director in 1968. 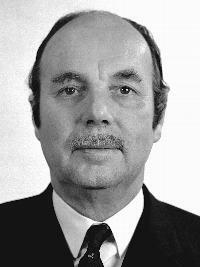 He carried responsibility for all of Westland Helicopters until he was appointed Executive Vice Chairman in 1972, retiring in 1979. He was an active member of the Royal Aeronautical Society, having joined in 1938 and was elected President for 1973-74. He was the recipient of numerous honors and awards including Commander of the Order of the British Empire (CBE), the RAeS Gold Medal, and the Louis Breguet Trophy. His inspired technical leadership and dignified presence was respected by all those privileged to work with him. Dr. George Hislop passed on July 24, 2013 at the age of 99.